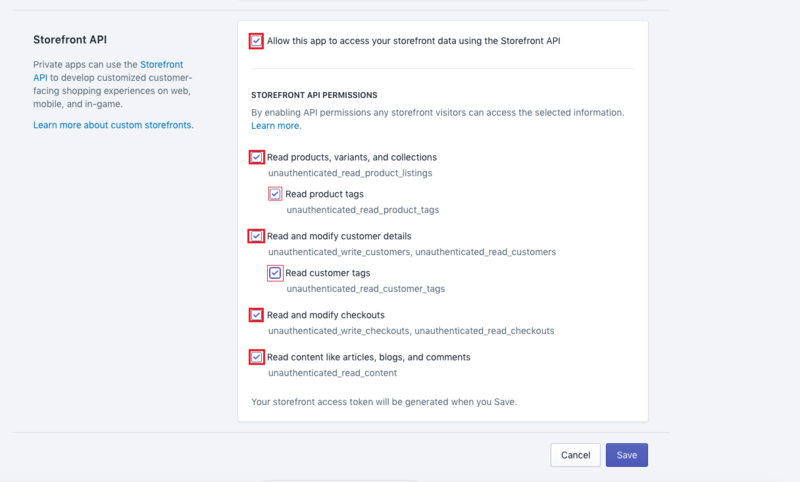 Generate a storefront access token to enable the native checkout in your app. 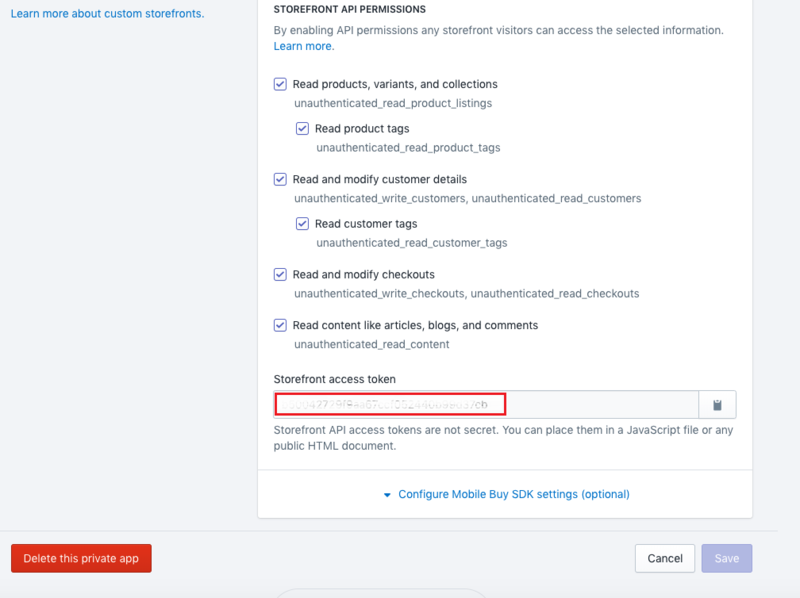 To enable the native check-out, we need your help in generating a storefront access token. 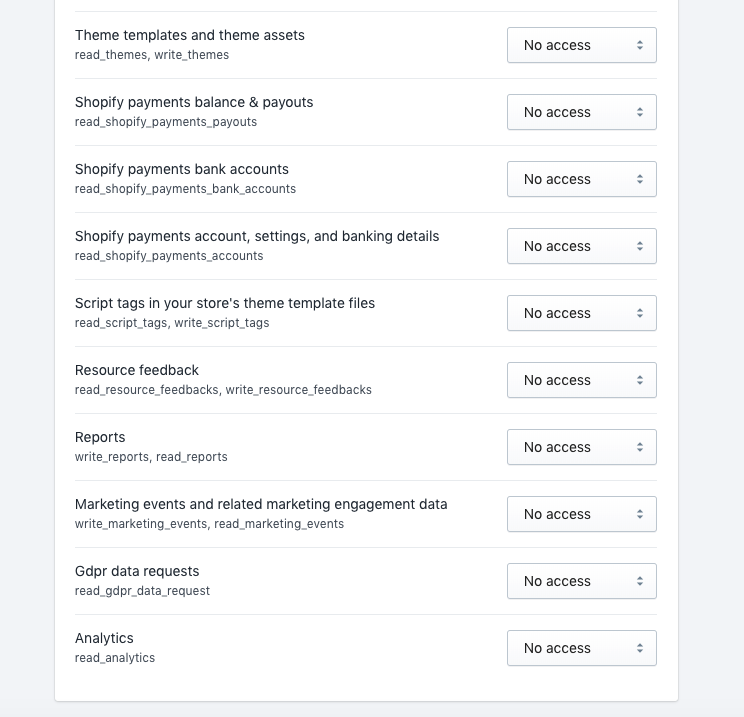 (Shopify has recently changed certain things and are not allowing app developers to automate the creation of access tokens.) To do so, we require you to create a new private app and to create an access token manually. 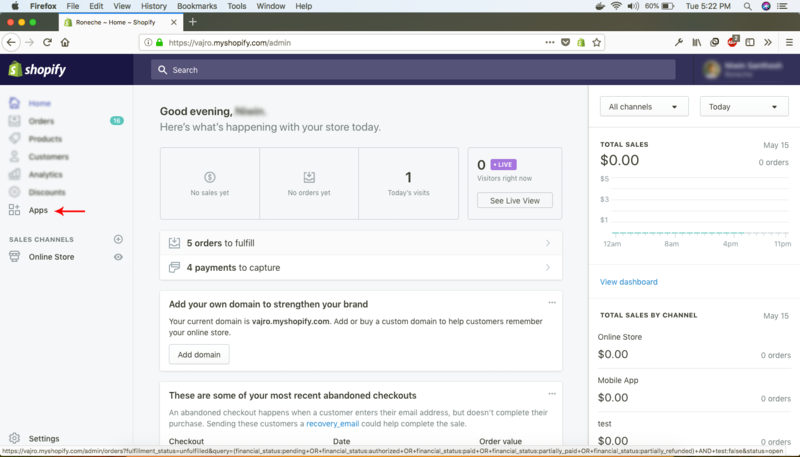 Go to your Shopify console, and click Apps. 2. 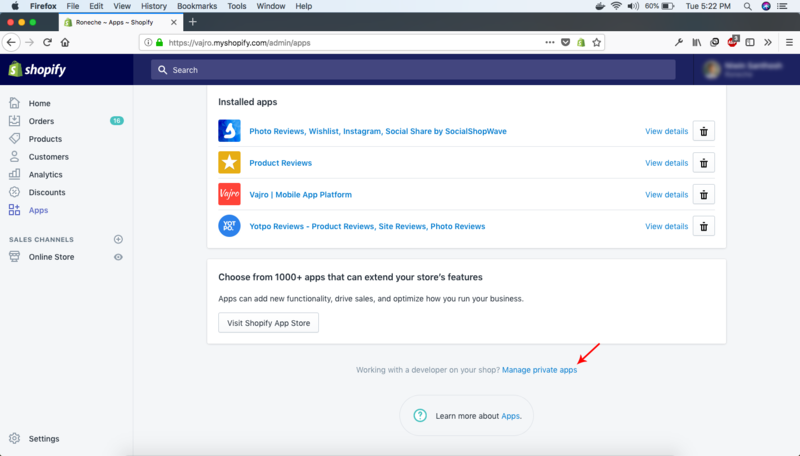 Scroll down and click on "Manage Private Apps"
3. 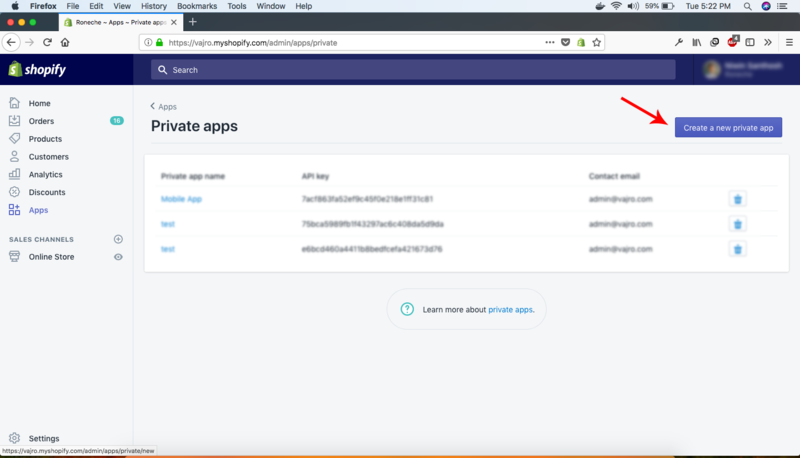 Click "Create a new Private App"
4. 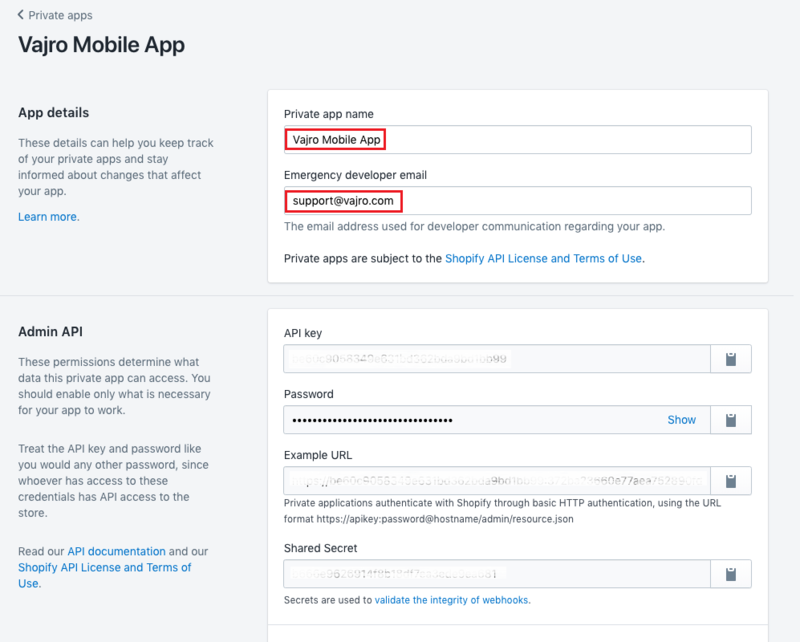 Enter the name of the private app as "Vajro Mobile App" and email as "[email protected]"
6. 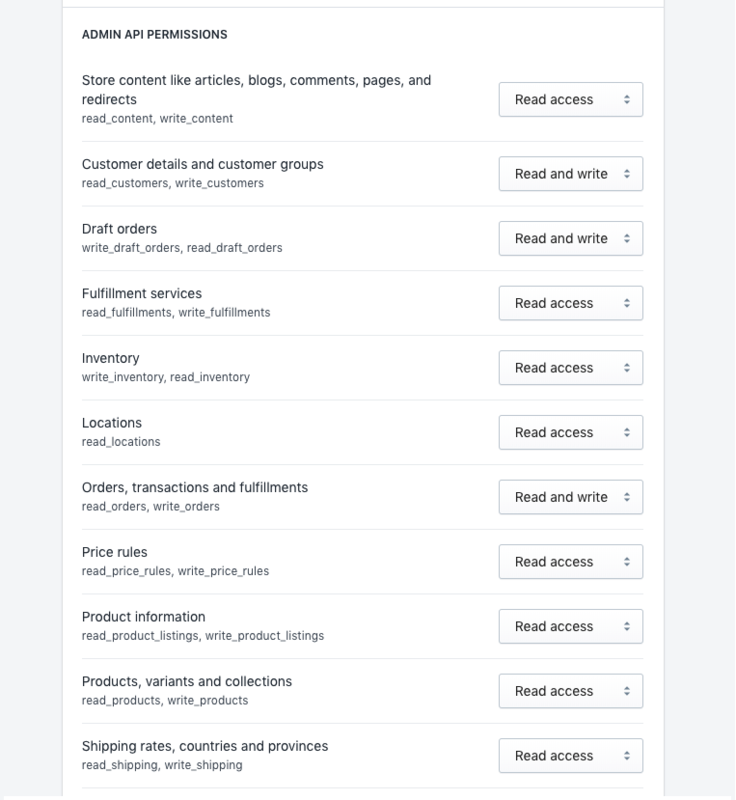 Scroll down to the storefront API section. Select all the check boxes as shown below. Then click Save.